The Mapuche’s struggle against Benetton dates back to 1991 when the company purchased over 2 million acres in Argentina’s Patagonia region. 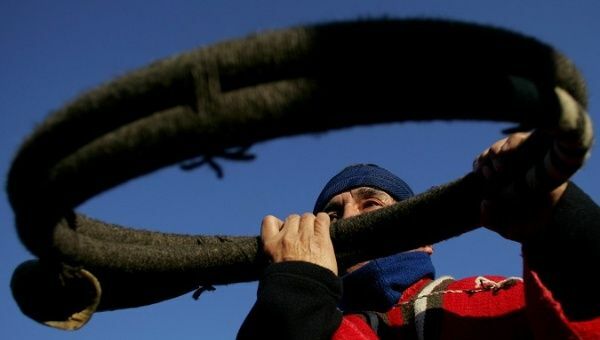 Activists and lawyers representing the Mapuche community have condemned an attack carried out on members of the group near the Chubut river by Argentine police and Benetton Group employees. According to Sonia Ivanoff, members of the state police service, and Benetton Group employees assaulted the community members Wednesday mere meters away from the location, where activist Santiago Maldonado’s body was found in October 2017. “Burning the watch house is not only an attack against Santiago’s cause but it is an attack on the case in which the community is the plaintiff because today we were going to show how the police of Chubut entered and began killing community members on January 11, 2017,” Sonia Ivanoff, the community’s lawyer told Pagina 12. The watch house, which was burnt, is said to be the place where Santiago Maldonado left his backpack before running towards the river while being shot at by state security forces. According to one witness, members of the community were on guard duty when persons, who arrived in a pickup truck, entered the watch house and physically assaulted them. The witness said the attackers appeared to be police and employees of the Leleque estate, owned by Benetton. A police source denied they took part in the attack. However, Mapuche community members and the Permanent Assembly for Human Rights (APDH) have countered this claim. The ongoing Mapuche struggle against Benetton dates back to the early nineties when the Italian company purchased 900,000 hectares (2,223,948 acres) in Argentina’s Patagonia region. Mapuches claim much of that land as part of their ancestral land.